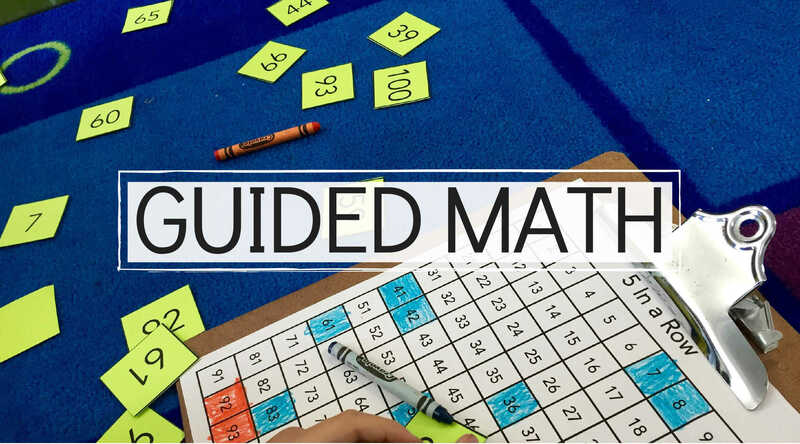 Guided Math is a structure for organizing your math block that involves mini-lessons, targeted small-group instruction, and opportunities for spiral review through math workshop. Like guided reading, guided math offers us, as teachers, the opportunity to intentionally group students based on skill and to carefully target specific skills. 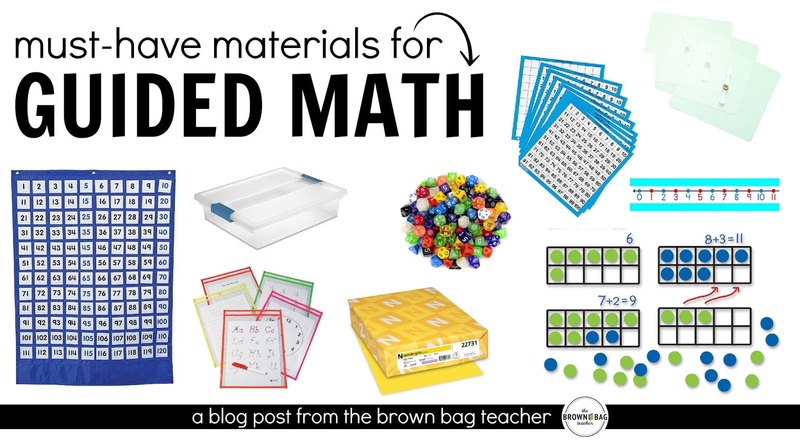 So often I’m asked – “What materials do I need to request to get started?” So today, I’m sharing some of our team’s go-to math materials! Since using Guided Math, our 1st grade teams feels like we know our students as mathematicians like we know them as readers. We love the confidence students have in talking about their math thinking and the freedom we have to push, to question, and to fill ‘gaps’ in understanding. If you’re interested in reading more about how I make guided math work in my 1st grade classroom, I’ve linked the posts below for your convenience! With that said, like guided reading, it took us 3-4 months before we hit our Guided Math stride. From figuring out how to switch-out math centers to how to group students to what resources we needed, it takes time to make Guided Math work for you and your classroom. 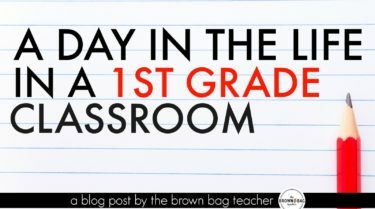 Today I wanted to share the resources and materials that we use every.single.week in my classroom – whether students are at my teacher table or reviewing at a math center. Full disclosure, throughout the post, you’ll find Amazon Affiliate links, which means Amazon tosses a few nickels my way if you purchase something through that link, at no extra cost to you, that help keep my corner of cyber-space running and helps fund giveaways like this one! The whole premise behind Guided Math is that students are working in small-groups on specific skills they struggle with. 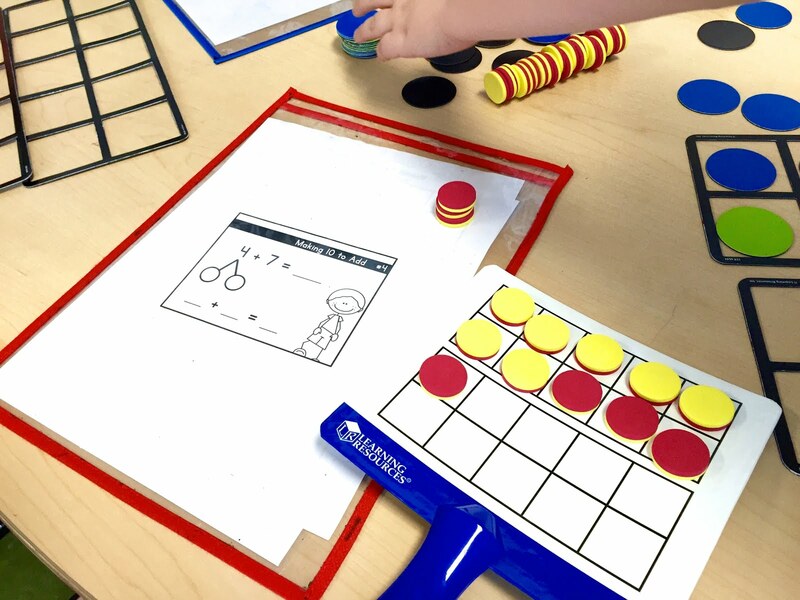 When students are working, they are interacting with hands-on materials that allow them to make sense of the math. They aren’t working on worksheets or busy work. They are using base ten pieces, unifix cubes, cuisenaire rods, double-sided counters, foam shapes, etc. So, in order to make Guided Math work, you need concrete manipulatives. 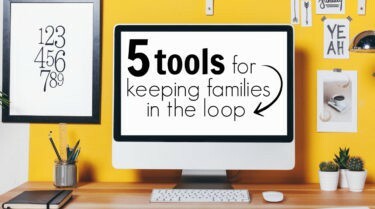 Hopefully, your district has always provided these basics so you don’t have to invest in them. We can’t skill ahead to the semi-concrete or abstract too fast! When we pull out these materials, I’m traditionally of the “Dump and Use” family. It makes it easy for all students at the table to have access and it allows for easy clean-up between rounds because students push the materials to the middle. Does it look like a hot mess? Yes. Does it matter? No. Of course, before we introduce any manipulative as a learning tool, we take the time to explore and play with it. Not only does it allow students to the opportunity to find their own uses for the math tool but it allows me the opportunity to give purpose to the tool later. 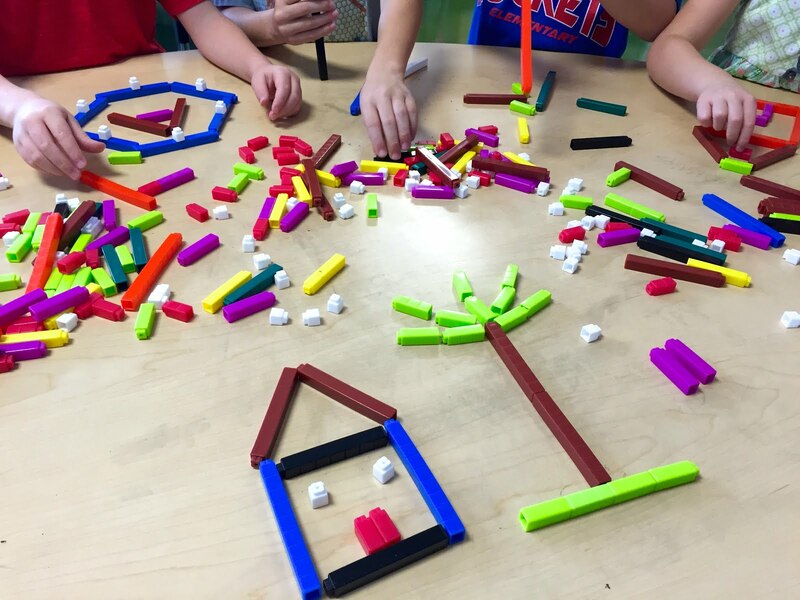 Read more about how we use cuisenaire rods in this blog post. Number lines are a go-to strategy for beginning mathematician. Plus, by laminating, hole-punching, and handing them, the numbers lines are easily accessible to students during math centers. Storing them this way, creates independence in my 1st graders while I am at my teacher table. They know to grab a number line if they need or want it and don’t have to interrupt learning. The perfect way to save paper, dry erase pockets are perfect for reviewing or practicing skills. They are also great for creating paperless math centers. Slip in one recording sheet and students can write straight on the pocket. Below you see my friends making 10 to add. When they finish, students can take a picture of their work for you to look at later, or they can share it during the next mini-lesson in between Guided Math rotations. Sheet protectors also work as a less sturdy option! From the first day to the last day, our 120s Pocket Chart is always out and it gets a work-out. 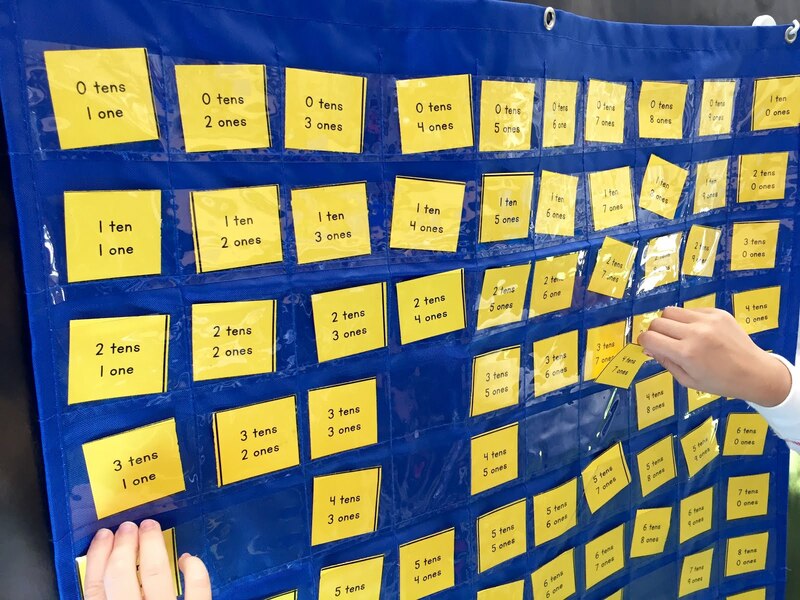 From ordering numbers to noticing patterns to finding 10 less/more, this pocket chart is gold. Unfortunately, most pocket charts only go to 100 but the Common Core asks students to work within 120. We all know 99-120 are some of the hardest numbers for students to conceptualize, so having an actual 120s chart is important to me. Plus, it becomes a PERFECT math center all year round! 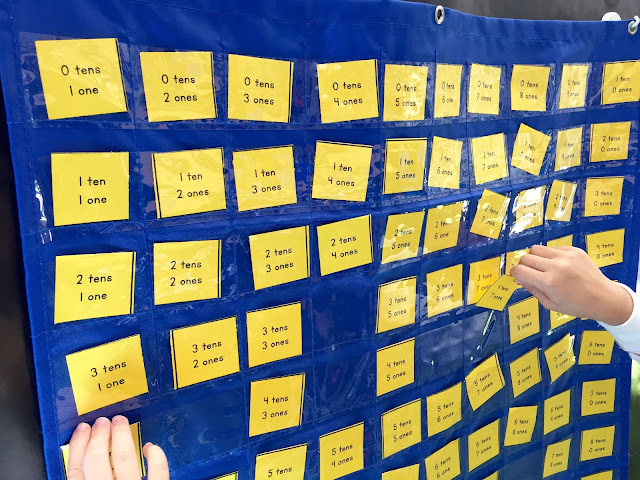 Like the pocket chart, our 120s boards are perfect for individual practice in adding, subtracting, finding 10 more/less, identifying number patterns, and practicing those tricky 99-120 numbers. Plus, they are double-sided (one side with numbers and one with just a 120s grid) which makes differentiation simple! See more ways we work to master 120 in this blog post. 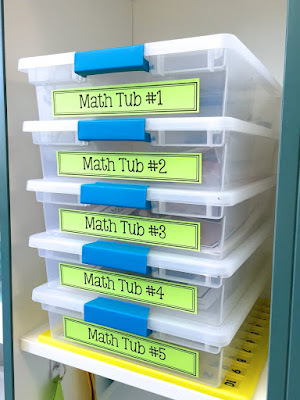 Oh how I love a good container and these are definitely the BEST math center tubs. They are sturdy, easily picked-up by little hands, easy to open/close (but do not not fall), and they fit an entire sheet of paper or folder inside of them. No more folder/curved papers for us – holla! These bins can be found at Dollar General, Target (only with green clips now), Home Depot, and Amazon. If you order them online from Home Depot and Amazon, you can order them in sets of 6 which is less expensive than ordering them individually…but note – they are definitely an investment. Whoa! How Do I Afford These Things? 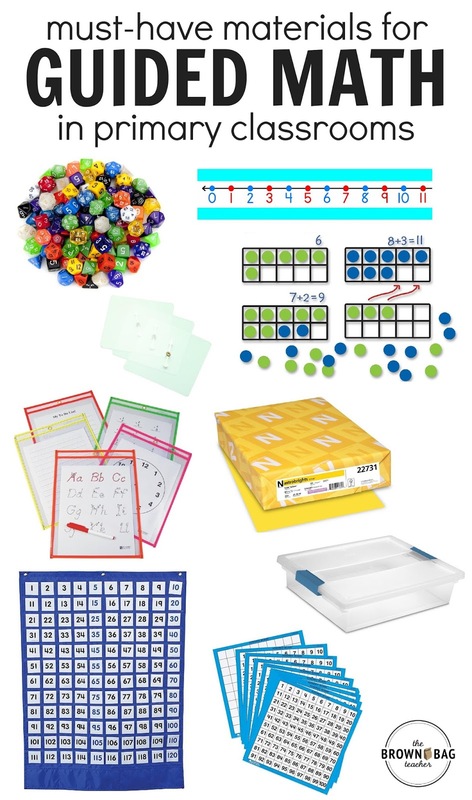 Do you need all of these resources to start Guided Math?? Absolutely not but having at least some of them does make life a lot easier. I slowly collected these goodies over the last two years shopping sales, using gift cards from students, through the classroom money our PTO provides (which is amazing), and through Donors Choose! 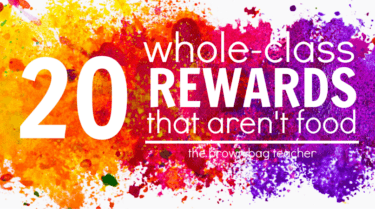 Scholastic Reading Club – Using bonus points you can snag all kinds of resources from the Teacher Bonus Catalog. 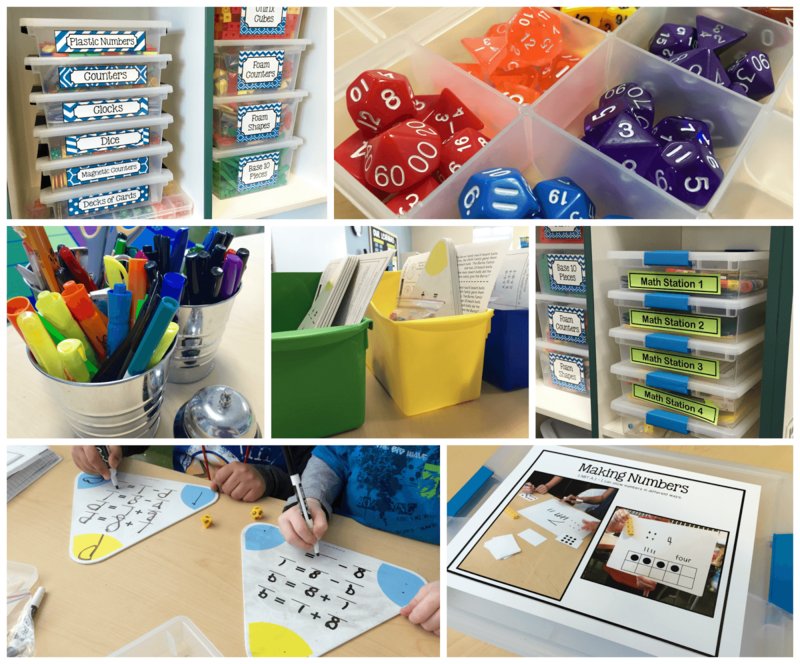 I’ve received magnetic timers, dice, book bags, whiteboards, and ten frames all for FREE! Read more about how I make the most of Scholastic Reading Club here. Donors Choose – Over the last 2 years, I’ve been blessed to received over $2,000 is FREE resources for my classroom. From math board games to iPads to iPods to guided reading books, Donors Choose is an awesome resource for public-school teachers. 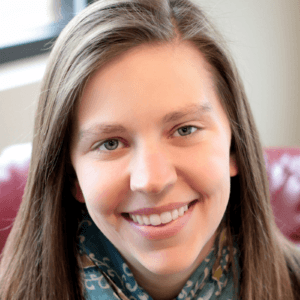 I’ve shared my tips for getting started on Donors Choose here. So tell me, what are your go-to resources when teaching math? Are there materials you and your students find yourself grabbing every.single.week? I am ALWAYS looking for other ways to enhance our math block and would love to hear your ideas! Guided Math in 1st Grade: Where to Start? You’re so welcome, Karen!! Having everything in one place is so much easier. Good luck this Fall!!! Love all your posts and resources! My class uses dice all the time! I love double dice and these place value dice get used all year. My students also love playing “Snap It” to practice making 10. Have you played that before? Thanks for sharing all your great ideas! We love Snap It Up but I’ve never played it for a specific sum! I have the actual deck of cards and we use it towards the end of the year with fluency. We may be talking about different games so I’m interested in Snap it Up! For “Snap It”, each child gets 10 connecting cubes, all the same color and attaches them together in a “train”. They sit facing each other but put their 10 train behind them along with both hands. One partner starts by “snapping” their ten in any place they want. For example, they might snap the 10 into 4 cubes and 6 cubes. They leave one of the broken parts behind their back, while showing the other part to their partner by bringing that hand in front. The 2nd partner has to say, “I see ____ in front so there’s ___ behind your back. ____ and ______ make 10.” The broken train is reconnected and the 2nd partner now breaks his/her train and the 1st partner has to verbalize the combo of ten. Does that make sense? It’s super easy to explain to students and an easy manipulative that most people have tons of! Sometimes I have it as a center and sometimes my whole class plays in partners! Ooo – that sounds like a BLAST!!! Would you mind if I added this to my math centers pack?? I’m sure lots of classrooms would love to play it!! This September will be my first year teaching first grade -after 7 years of kindergarten! Your website has been such a fantastic resource for me to get ideas and information. I’d really love to teach guided math as it seems so much more accommodating to learning styles and abilities! Winning this raffle would be a game changer! Thanks for offering it! This post really made me reflect on what I continue to reach for during Math time. There are two things that I continue to grab time and time again: Balloon Bubbles and decks of cards. Another teacher shared a worksheet that had 12 balloons on it and advised me to use them as a game for the kids – they compete against one another using task cards, manipulatives, etc. Students who get the answer right gets to pop another students Balloon Bubble. Super fun. I have so many decks of cards, it’s starting to become a problem. I use them for everything – multiplication, addition, one step equations, negative and positive numbers. Thanks for the giveaway! Loved the post! Oh my – balloon bubbles sound like SO much fun!! Thanks so much for sharing. 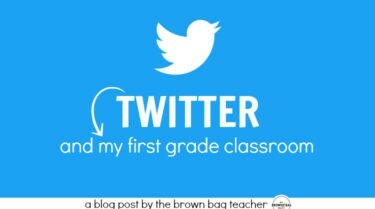 This is such an awesome resource for a first year teacher like myself! Thank you! Love this post! Thank you! I like using ten frames and abacus. Will be starting guided math this year! I don’t have large/whole group magnetic ten frames…love that idea. 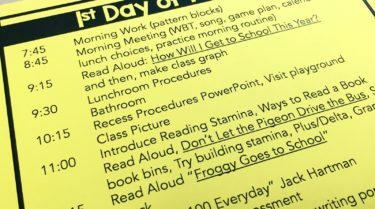 I will be a first year first grade teacher this year and all of these materials look amazing! Last year student teaching I differentiated with dice and my students loved it and loved that they could all be successful. I love your ideas about using different colors based on leveling. Fingers crossed! YES!!! The best part of the containers is that they fit a piece of paper. I really dislike folded papers, so it works perfectly! I love this post! I have done this and find it so helpful! I love my ten frame dice from Lakeshore! There’s a different ten frame on each side (different dice have different ten frames covering numbers 0-20) and I do several activities with them. Students roll two (or 3!) and add the frames up. They must draw the picture that goes along with it and use a colored pencil that matches the different color of each dice. That way the dots from each dice are divided up. Sometimes I will also have students roll one and they have to figure out how much it would take to fill up the frame. So if the frame has 8 in it, the student needs to determine that the remainder is 2. They also draw these out using colored pencils with colors to match. 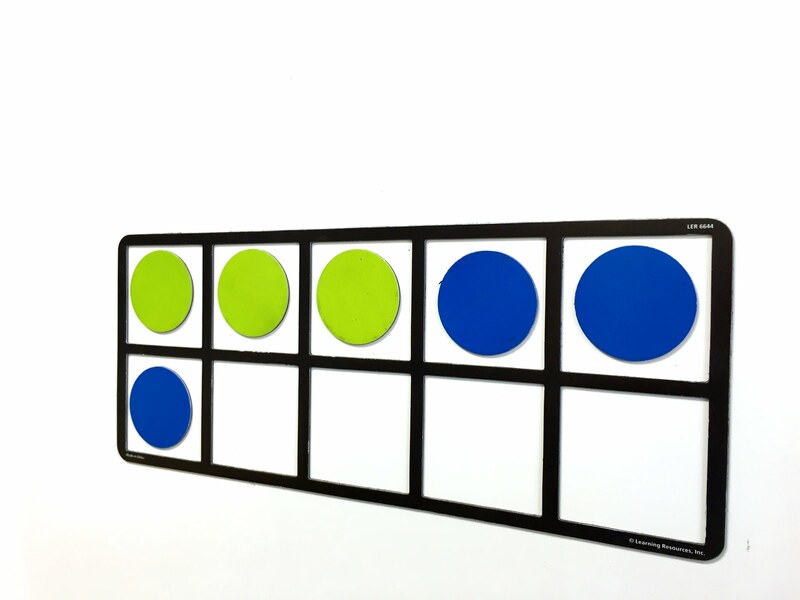 I find these are great for my visual learners and they allow multiple centers to involve ten frames at once!! The Lakeshore Dice are AMAZING!!! ? What a great resource! I enjoyed reading so many things you have posted! I am now working as a math specialist in my building, K-5, so I can really see the benefit in much of what you suggest. I will have to grow this over time (shoe boxes for storage right now!!) but I have seen many resources like dice and card decks at the dollar store. Thank you for going into such specific detail!!! You are wise beyond your years. This is year 12 and I haven’t taught first since year one… and we all remember how year one is, #ugh. I am soaking everything up like a sponge. 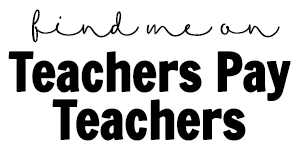 You are the teacher I aspire to be and I look to your blog for just about everything. Keep the posts coming.